Striking design. Great cameras. Android One. This is the Nokia 7 Plus. Nokia's comeback tale has been a success so far, with HMD Global's move to focus on the budget segment paying off handsomely for the brand. The Finnish manufacturer launched a total of six Android phones last year, primarily targeted at markets like China and India, countries where the Nokia name still has a lot of brand cachet. Four out of the six devices HMD launched last year were budget phones, with the Nokia 8 and Nokia 7 being the exceptions. Of the two, the Nokia 8 was the only device that was available in global markets, but HMD is making amends this year with the Nokia 7 Plus. The phone is the first from HMD to feature an 18:9 form factor, and currently it is the only device in the Finnish manufacturer's portfolio to do so. HMD made a few missteps last year — the Nokia 6 had lackluster specs, and the Nokia 8 didn't see much momentum in the high-end segment. But this time around, HMD nailed the basics with the Nokia 7 Plus. HMD is once again making a strategic play by launching the phone initially in key markets like India. The Nokia 7 Plus is now up for pre-order in the country, and will go on sale starting April 30 for ₹25,999 ($390). While India's budget segment sees intense competition, the ₹20,000 to ₹30,000 segment is underserved. The Redmi Note 5 Pro and Moto G5 series own the sub-₹20,000 category, and the OnePlus 5T dominates the premium segment, with the manufacturer picking up a market share in excess of 48%. The Moto X4 is the only legitimate contender to the Nokia 7 Plus, but Motorola's track record when it comes to software updates isn't what it used to be, making the X4 a tough sell. So at a first glance, it looks like the Nokia 7 Plus is the perfect $400 mid-ranger for 2018. It's time to find out if it lives up to the hype. I (Harish Jonnalagadda) am writing this review after using the Nokia 7 Plus for over two weeks in Hyderabad, India. The phone was connected to Airtel's 4G network, and received an OTA update bringing Android 8.1 Oreo, the April 1, 2018 security patch, a new camera interface, and numerous stability fixes. 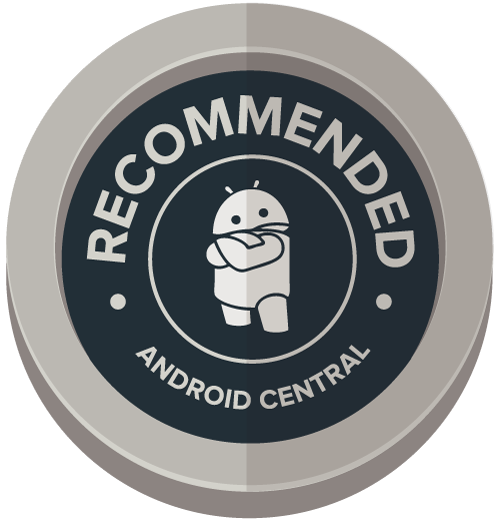 HMD India provided the review unit to Android Central. Think of the Nokia 7 Plus as HMD's take on the Pixel 2 XL. The phone has a similar design up front with the curves around the edges, and the six-layer ceramic coating at the back is akin to what Google has done with its flagship. The white version of the Nokia 7 Plus in particular shares a lot of similarities to the panda Pixel. That's not to say that HMD hasn't added its own unique touches to the design. The most distinctive design feature of the Nokia 7 Plus is the copper accents around the periphery of the screen, the camera module, power and volume buttons, and the midframe. The copper highlights certainly add flair to the device, and its sheen glints off under sunlight. It definitely makes the Nokia 7 Plus stand out in a sea of unibody aluminum designs. The Nokia logo is displayed prominently at the back, and to the right of the front camera module. The ceramic coating makes the Nokia 7 Plus very grippy, and the device is built like a tank. There's a reassuring heft whenever you pick up the phone, and nothing about the device feels cheaply made. Overall, the fit and finish of the Nokia 7 Plus is top-notch, just as you'd expect from a Nokia-branded device. With HMD committing to Android One on all of its smartphones, the Nokia 7 Plus comes with Android One branding at the bottom, along with a "Designed by HMD Global Oy" tag. The latter, however, is beginning to wear off after just two weeks of use. HMD doesn't do dull phones, and the Nokia 7 Plus is one of its best designs yet. The camera module protrudes from the body, but it is a minor bum and doesn't really affect usability. The fingerprint sensor is a little higher up on the body and slightly above where your index finger usually rests at the back, but the indentation makes it easy to locate. Rounding out the design, there's a USB-C charging port at the bottom, and a mono speaker is located to its right. The power and volume buttons are on the right-hand side, and the positioning, as well as the tactile feedback, is spot on. You also get a 3.5mm jack at the top. The 6.0-inch IPS LCD panel has a resolution of 2160x1080, and it is protected by a layer of Gorilla Glass 3. Colors are vibrant, viewing angles are great, and I didn't have any issues reading the content on the screen under harsh sunlight. There's also an ambient display mode that allows you to preview notifications without switching on the screen. You can also adjust the display scaling options as well as the font size, and you get a blue light filter that can be configured to kick in at a specified time (or from sunset to sunrise). There's a double tap to wake the screen option as well. The Nokia 7 Plus is one of the first phones launching globally to feature the Snapdragon 660 — it is the first in India to offer the chipset. Qualcomm released the chipset last year, but the first wave of devices powered by it didn't make it outside of China. The Snapdragon 660 is notable as it is the first chipset in the 6xx series to feature Qualcomm's custom cores. For instance, the Snapdragon 630 in the Moto X4 has the standard A53 cores that go up to 2.2GHz, whereas the Snapdragon 660 comes with semi-custom Kryo 260 cores that are based on the A73 and the A53. Similar to other octa-core designs, the Snapdragon 660 has four performance cores based on the Cortex A73 that are clocked at 2.2GHz, and four energy-efficient cores based on the A53 that go up to 1.4GHz. The result is that you get performance that's on par with flagships from just a few years ago. For CPU-intensive tasks, the Snapdragon 660 is equivalent to that of the Snapdragon 821, but the Adreno 512 GPU isn't quite on the same level as the Adreno 530 in the Snapdragon 821. The Nokia 7 Plus is just as fluid as the Pixel 2. The Nokia 7 Plus also offers 4GB of RAM and 64GB of internal storage, and yes, there is a hybrid SIM card slot. You can use the secondary slot for either a SIM card or a microSD card, but not both. There's also Bluetooth 5.0, Wi-Fi ac, an LTE Category 12 modem, VoLTE, NFC, and an FM radio tuner. When it comes to day-to-day usage, I didn't notice any slowdowns whatsoever, and the Nokia 7 Plus was just as fluid as the Pixel 2. The simplicity of Android One combined with the hardware on tap makes the phone one of the fastest in this category. I don't normally care about the haptics on a phone, but the vibration motor on the Nokia 7 Plus is one of the strongest out there. Call quality is also decent, but there are times (particularly when you're outside) when you feel that the earpiece doesn't get loud enough. The same goes for the built-in speaker — it doesn't get sufficiently loud for calls. The mono speaker is decent for viewing multimedia content, but the phone would have benefitted from a stereo setup, particularly given that there's enough room on the bottom bar for a second speaker. That said, I'm glad there's a 3.5mm jack on the phone, and HMD even provides a pair of earbuds in the box. Network connectivity is great as well, and I witnessed similar speeds as that of the Galaxy S9+, both on cellular and on my home Wi-Fi network. The two key areas that Indian customers prioritize when considering a phone purchase is battery life and camera quality. Unlike Western markets, a phone is the primary gateway to the internet for hundreds of millions of Indians, and as such their usage habits differ from customers in other countries. The single biggest contributor to the change in usage habits is the arrival of Jio. The carrier launched last year, and essentially gave away 4G data to hundreds of millions of subscribers for the first six months. Its launch catalyzed the video streaming market, and boosted viewing times on platforms like YouTube and Hotstar. The end result is that Indian users are viewing significantly more multimedia content on their devices than just a few years ago, and they're doing so primarily on cellular. That means a phone either needs to have a massive battery or be optimized to make that battery last an entire day. Motorola took the optimization route with the Moto Z2 Force, somehow making the 2700mAh battery on the device last a full day. With the Nokia 7 Plus, HMD is going the Xiaomi way and including a huge 3800mAh battery. You'll easily get two days' worth of usage from the Nokia 7 Plus. It's clear that HMD also optimized the phone to be as frugal as possible when it comes to battery usage, because the Nokia 7 Plus manages to deliver two days' worth of usage consistently. There wasn't a single scenario over the last two weeks where the Nokia 7 Plus ran out of charge before the end of the day. Even on days when I had to travel, the Nokia 7 Plus managed to last well over 20 hours with over 20% charge left. I usually take two phones whenever I'm traveling for event duty — one with a great camera and the other with a massive battery life that's used primarily as a hotspot. The first phone usually ends up being a Pixel 2 or a Galaxy S9+, with the latter inevitably being a Xiaomi phone. The Nokia 7 Plus has a camera that works great in low-light conditions (as you'll see below), and the battery life is spectacular. And when you do need to top up the device, fast charging (9V/2A) is available. The primary camera on the Nokia 7 Plus is of particular interest as it uses the same imaging sensor as the Pixel 2. There's a 12MP primary camera with an f/1.75 lens and 1.4-micron pixels that's joined by a secondary 12MP telephoto shooter with f/2.6 lens and 1.0-micron pixels. The phone has Carl Zeiss optics, and HMD is bringing its Bothie feature — which shoots images from both the front and rear cameras simultaneously — to the device. There's a pro mode as well, and the phone offers three microphones through which you'll be able to record 360-degree audio. The camera is fantastic — both in daylight and low-light scenarios. The camera interface itself is clean, and you have toggles for HDR, flash, timer, Bothie mode, beautify filter, and optical zoom. You can switch between photo and video modes, and the slide-out menu on the left lists the shooting modes available — Photo, Panorama, Pro, Live Bokeh — and access to the settings. The pro mode is similar to what Nokia included in Lumias of old, and lets you tweak the white balance, ISO, shutter speed, and enables manual focus. Images taken in daylight are full of detail, with a wide dynamic range and accurate colors. The Nokia 7 Plus didn't have any issues focusing on a subject, and there wasn't any delay in saving the photos to the gallery. The camera shined in low-light shooting scenarios as well, and while some of the images are grainy, the camera is a far sight better than most devices in this category. The only issue I have with the camera is with the portrait mode — the Live Bokeh shots were too grainy in artificial lighting. Aside from that, the Nokia 7 Plus did a magnificent job both in daylight and low-light shooting conditions. The Nokia 7 Plus comes with Android 8.0 Oreo out of the box, but you should see an update to Android 8.1 Oreo during initial configuration. HMD is currently leading the pack when it comes to updates, and the Android 8.1 Oreo OTA also includes the April security patch. Overall, the software experience on the Nokia 7 Plus is similar to what you'd find on the Pixels — fluid, functional, and fast. The phone handled everything I threw at it with ease, and not once did I get the feeling that it was sluggish. You also get a few gestures, like the ability to swipe down on the fingerprint sensor to pull down the notification shade, lift to wake the display, double press the power button to launch the camera, and so on. The phone is guaranteed to receive updates for three years, and the shift to Android One means the Nokia 7 Plus will be one of the first devices to get new security patches and platform updates. If you care about fast updates, there isn't another phone in this category that comes close to the Nokia 7 Plus. The software experience is fluid, but there are a few bugs. However, as good as the software is to use on a day-to-day basis, it isn't without its issues (and there were several of them). The sound profile would automatically switch to vibrate mode for no reason, and I had to restart the device to go back to my preferred settings. There was also a glitch with YouTube where the videos wouldn't play — the screen would go blank, with just the audio playing. Once again, a restart fixed the issue. The device intermittently disconnected from my home Wi-Fi network and reconnect. I'm willing to give HMD the benefit of the doubt here as the phone is still running a non-final software build. I'll update the review in ten days' time and see if the lingering issues have been ironed out ahead of its formal release. If you've pre-ordered the phone, get ready to install a few day-one patches. I've often heard from manufacturers that if a product takes off in India, it will automatically be a success in global markets. The Nokia 7 Plus certainly has a lot going for it, and the camera quality combined with the two-day battery life make it the phone to beat in this segment. HMD says it received a lot of feedback from customers in India last year, and it's clear that the manufacturer implemented a lot of those suggestions to make the Nokia 7 Plus stand out in this category. The phone has an interesting design, the display offers vivid colors and is readable under sunlight, and the camera is one of the best you'll find on a $400 phone today. Then there's the two-day battery life, the promise of quick updates, and the uncluttered user interface. HMD hasn't put a foot wrong with the Nokia 7 Plus, and it's safe to say that this is one of the best phones of the year. The Nokia 7 Plus is now available in India and the UK. As stated earlier, there really aren't a whole lot of devices in this category, and while the Moto X4 is available for ₹22,999 ($350), you're getting much better hardware as well as a vastly superior camera with the Nokia 7 Plus. The Nokia 7 Plus is available for purchase in the UK for £349 ($490), and while the price isn't as competitive as India, you're still getting a great phone. Should HMD decide to bring one more device to the U.S. this year, it has to be the Nokia 7 Plus.